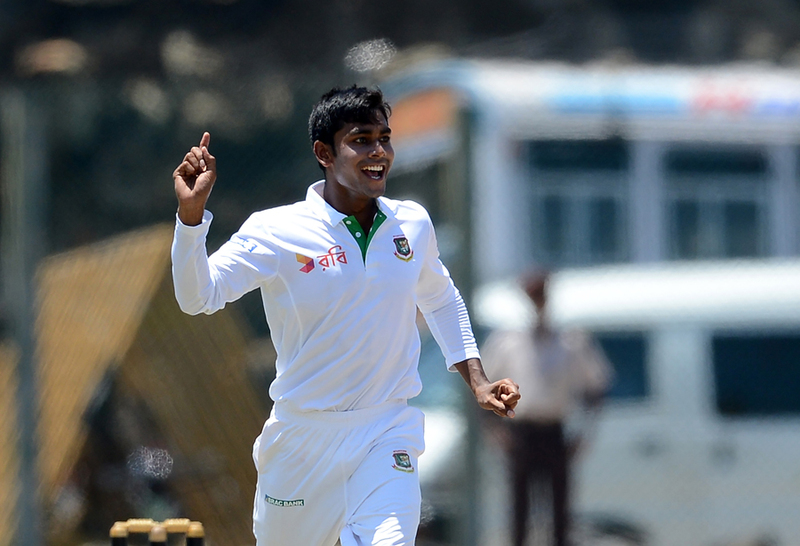 Two wicket from Mehedi Hasan Miraz helped Bangladesh to celebrate couple of times in the first season of day two. Kusal Mendis was the first victim of Mehedi. He was gone for 194. Mendis was trying to reach his double hundred by hitting a six. But Tamim Iqbal took a stunner at long on to dismiss Mendis on 194. Earlier Mustafizur misjudged a catch of Mendis on fine leg which was ended up over the boundary line. Subashis Roy was the unlucky bowler again. 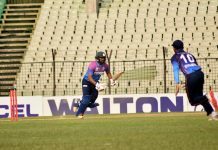 Soon Mehedi struck again and dismissed Dickwella who scored an aggressive innings of 75 from 76 balls. Dilruwan Perera and Rangana Herath are the two unbeaten batsmen at the lunch. Mehedi is the most successful bowler for Bangladesh with 3 wickets for 103 runs.